Last week I was lucky enough to catch 2 very different exhibitions in one day. Juggling 2 gallery visits with nappy changes, lunch and nap times was quite a mission but well worth the effort and I came home with an exhausted but contented toddler after a days visual stimulation! The Enchanted Page - an Exhibition of Children's Illustration at London Print Studio was first on the bill. 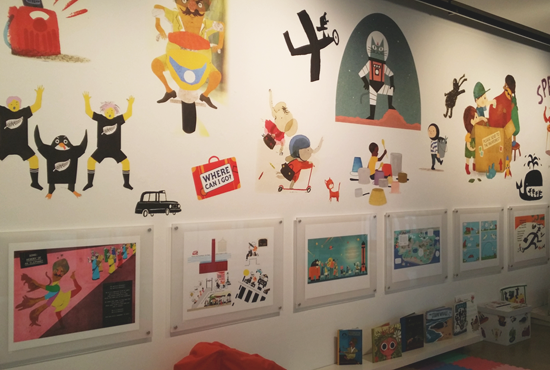 Being an avid collector of children's picture books I was really interested to see this display of imagery from 15 contemporary illustrators. The gallery space is relatively small, in front of the working print studios, but has been fashioned into a fun and welcoming, creative area. 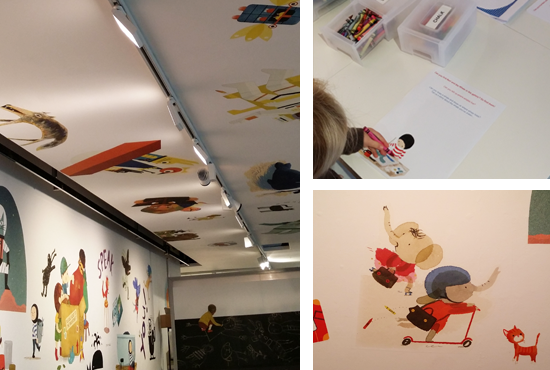 Both the walls and the ceiling are dotted with characters and bold imagery from the books, and several page spreads adorn the base of the wall at child height. There are tables with chalks, crayons and activity sheets, comfy bean bags and book tables. My daughter loves her books and was in her element here, its well worth a visit if you're out and about in West London. There's a lovely little gift shop selling various print and design related goods, and I picked up the latest copy of Wrap magazine too - bonus! In contrast to the morning's gallery visit, the second exhibition of the day was Sigmar Polke at Tate Modern. I had done a quick read up on Polke before I went, but was unsure what to expect and had been warned 'some of the imagery may be considered challenging' at the exhibition entrance.. so off I went with toddler in tow, ready to avert her eyes when necessary! This retrospective displays the broad variety of Polke's work from painting and drawing to sculpture and video-art. 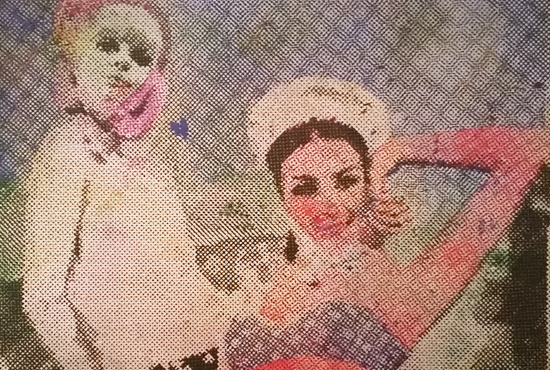 Polke worked in many mediums, and used all kinds of unorthodox materials in his image making. His work is highly experimental and often controversial, and I found it very interesting to explore. Its a huge collection, and every room has a different theme as they have attempted to cohesively arrange the vast styles and subject matters in a meaningful way. Quite hard to describe Polke's work concisely - you need to go and see the exhibition with your own eyes! 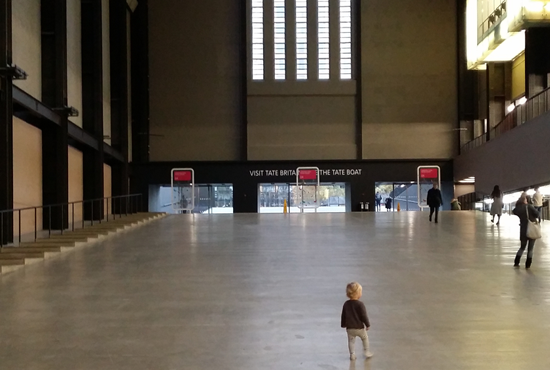 I could have done with a whole day at the Tate, as there is so much to see and its an awesome building. There's plenty to see for free if you don't want to pay for the special exhibitions. Less crowded midweek its a great place to take your kids for some creative exposure, the Turbine Hall alone is a pretty impressive space for a little one to experience.